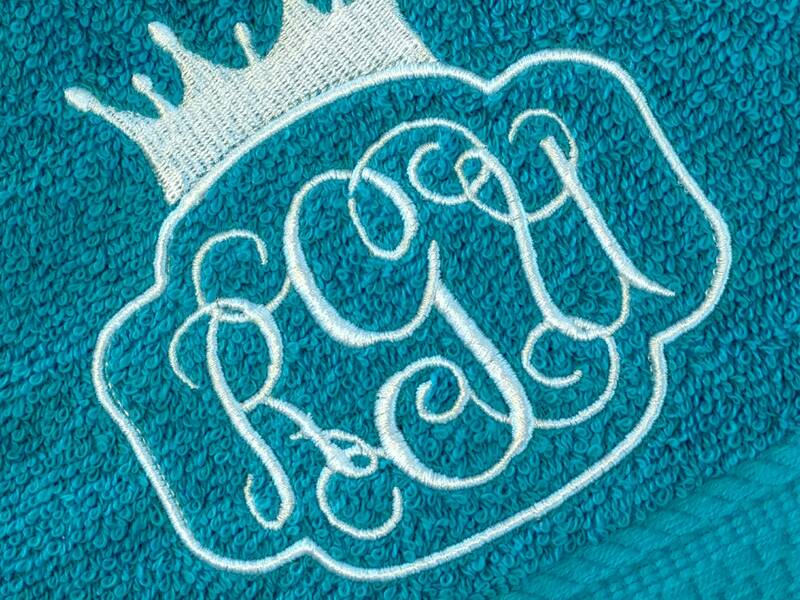 Monogrammed towel featuring a princess crown monogram frame. 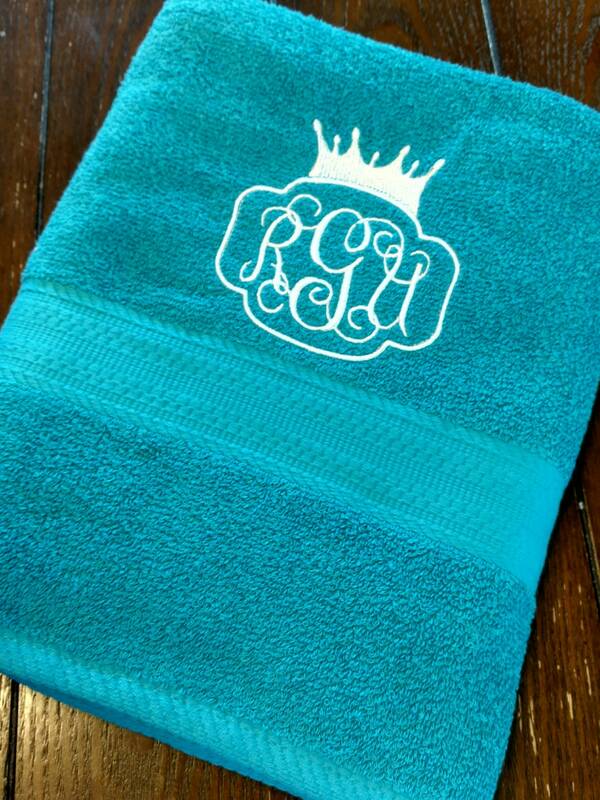 Customer selects towel color and embroidery color. 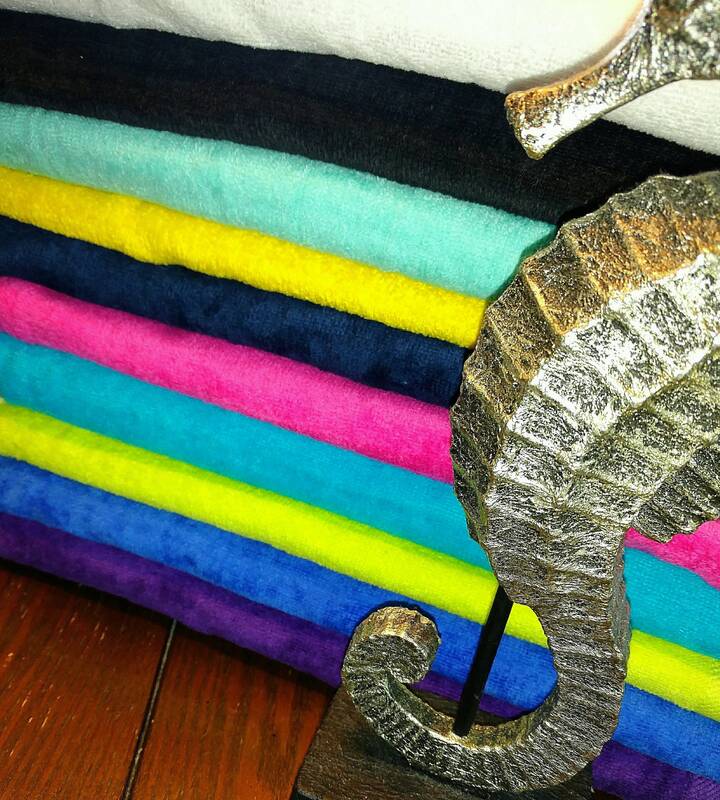 Colors: White, Black, Navy, Royal Blue, Turquoise, Lime Green, Teal, Hot Pink, Yellow, and Purple. 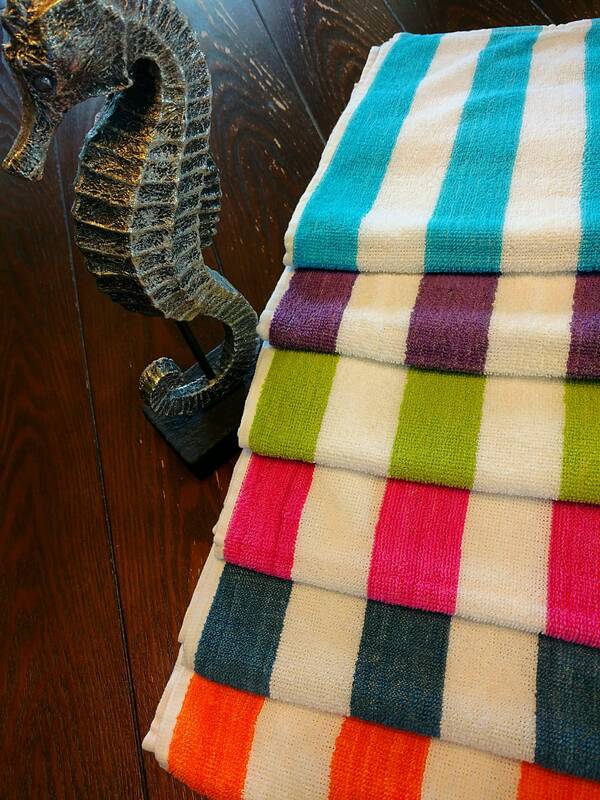 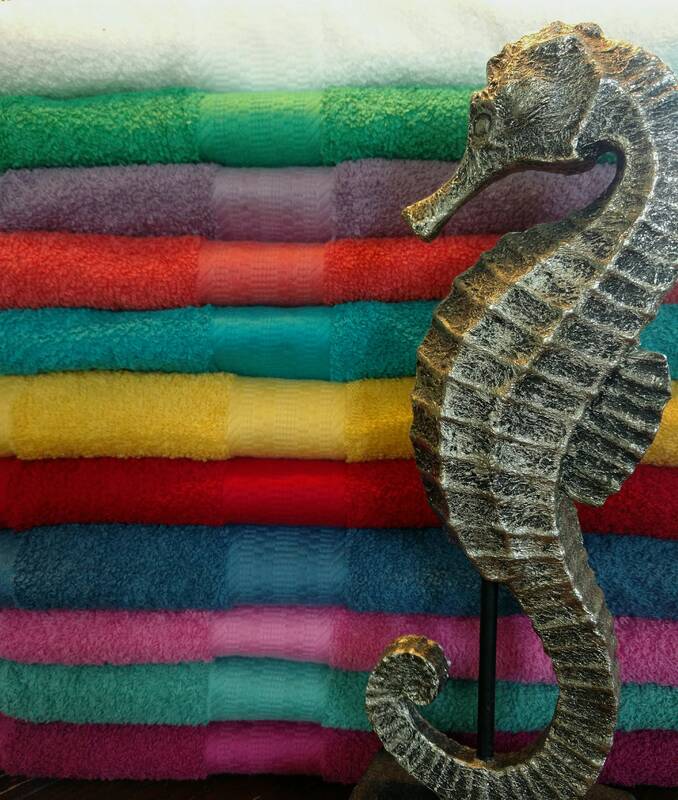 *The lightweight stripe towels do require a mixture of colors for large orders.